Establish a National Crime Prevention Office to align social and justice efforts, create partnerships, mobilize evidence, support practitioners, and oversee the allocation of crime prevention funding. Fund an annual Safer Canada Conference to share practices and evidence and to accelerate the widespread adoption of crime prevention among Canadians. Increase government spending on crime prevention to reach a minimum 5% of the current expenditures of policing, courts, and corrections to reduce the harm of interpersonal violence to victims by up to 50% by 2025. 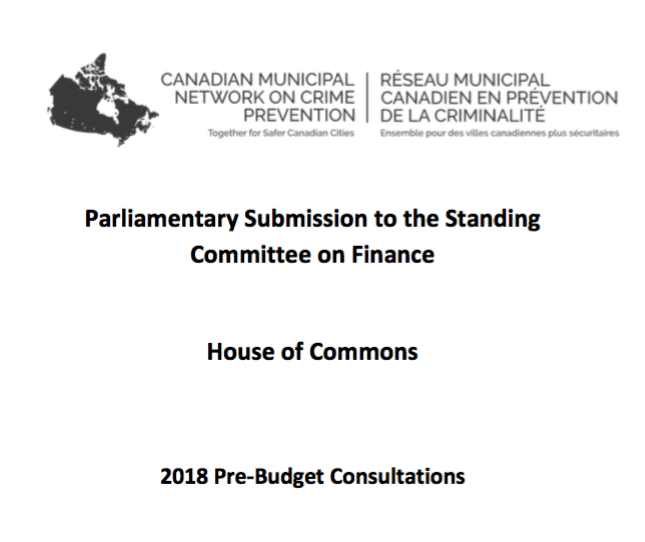 Establish a permanent and flexible matched funding program for municipalities across Canada to resource collaborative community safety planning and strategic investment in evidence-based crime prevention.